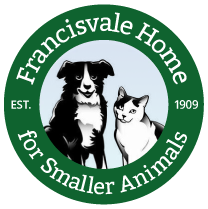 and Francisvale will receive a SCOOP of Royal Canin pet food donated to our shelter!!! Thanks to Ardmore Animal Hospital and Royal Canin for sponsoring us! This entry was posted on Friday, December 25th, 2015 at 3:48 pm	and is filed under News.